Binding: Softbound ?Cover: colored paper stock + sticker on one volume, of which the other volume’s cover is a facsimile. 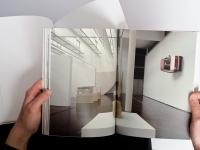 Catalog published on the occasion of Simon Starling’s double exhibition at MAC/VAL and Parc Saint Léger – Centre d’Art Contemporain. A central work in the artist’s conception of the two exhibitions, “Les Maquettes en blanc (1995-2009)” presents all of Starling’s publications to date in one vitrine and their corresponding blank dummies in a second vitrine next to it. 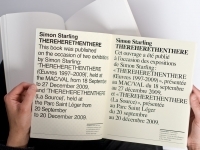 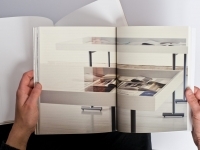 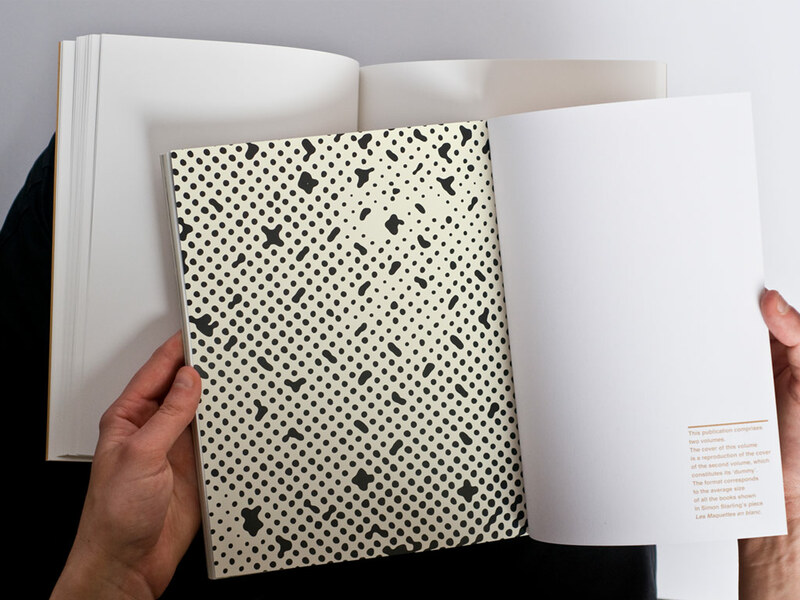 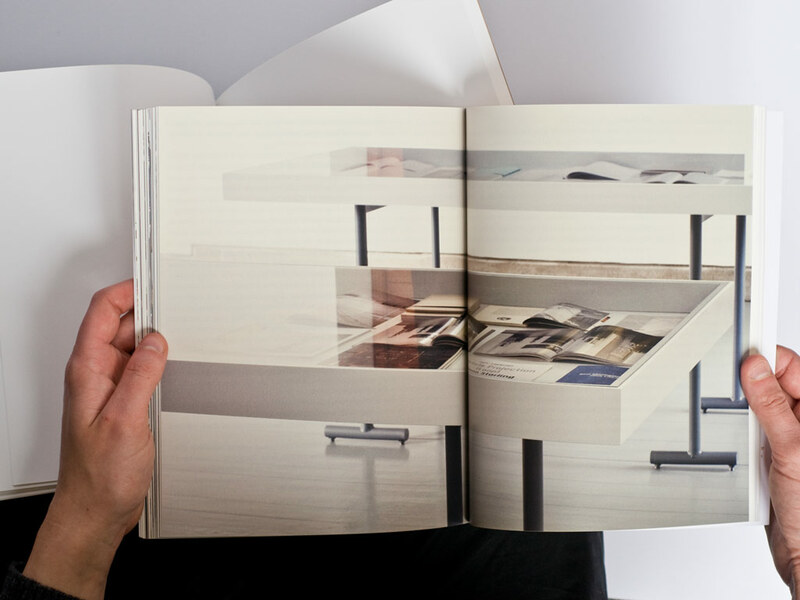 As Starling writes, this piece “mimics a series of other physical and intellectual journeys to be travelled in the exhibitions.” It seemed the logical starting point for the design of the catalog. 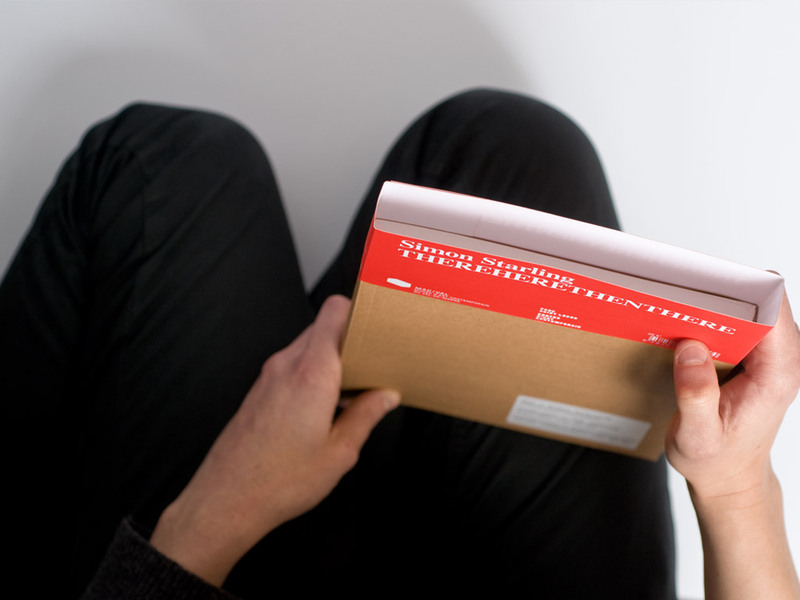 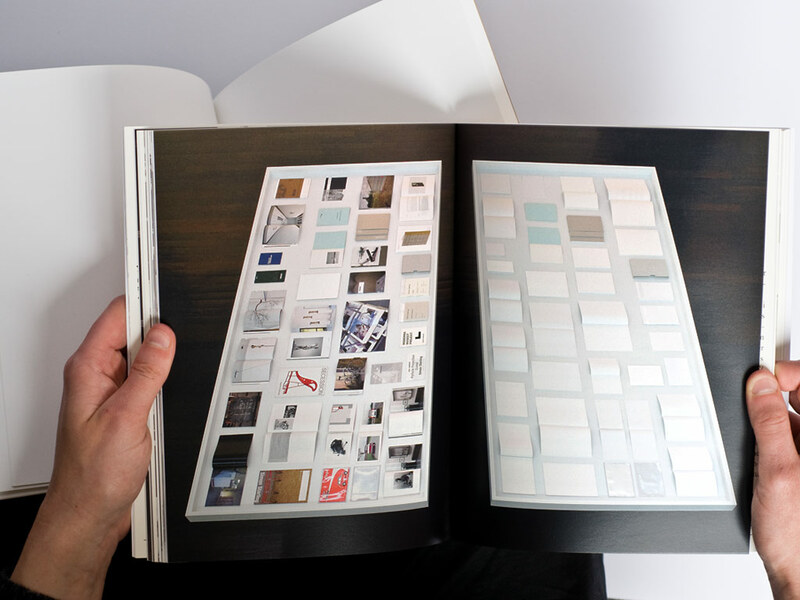 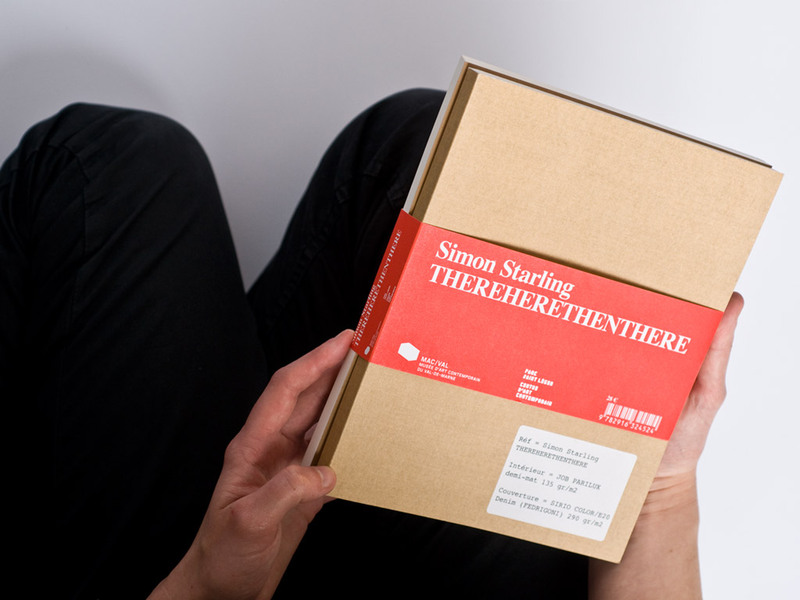 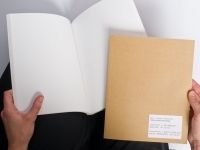 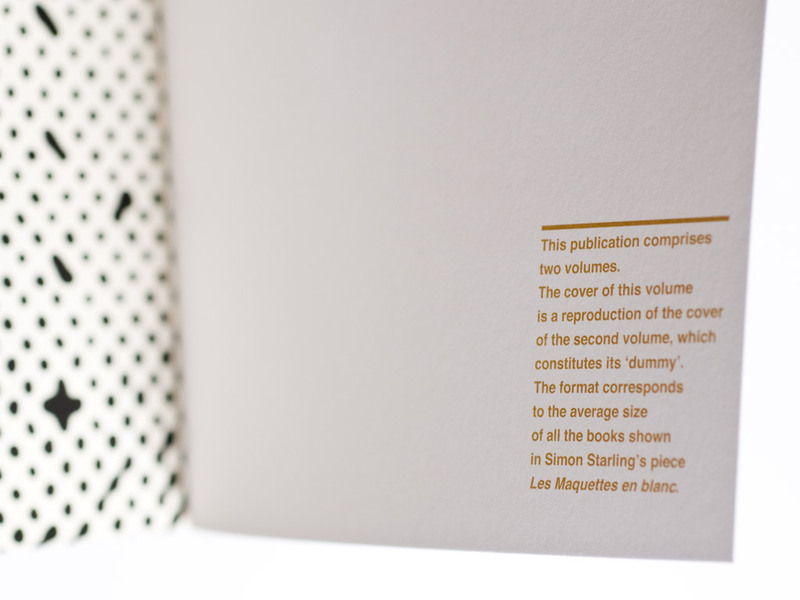 THEREHERETHENTHERE is made of two volumes, one of which is the blank version of the other one, constituting its “dummy.” The other volume, however, simulates through offset printing the beige color and weave texture of the dummy’s cover and the white sticker on it presenting the paper stock information. 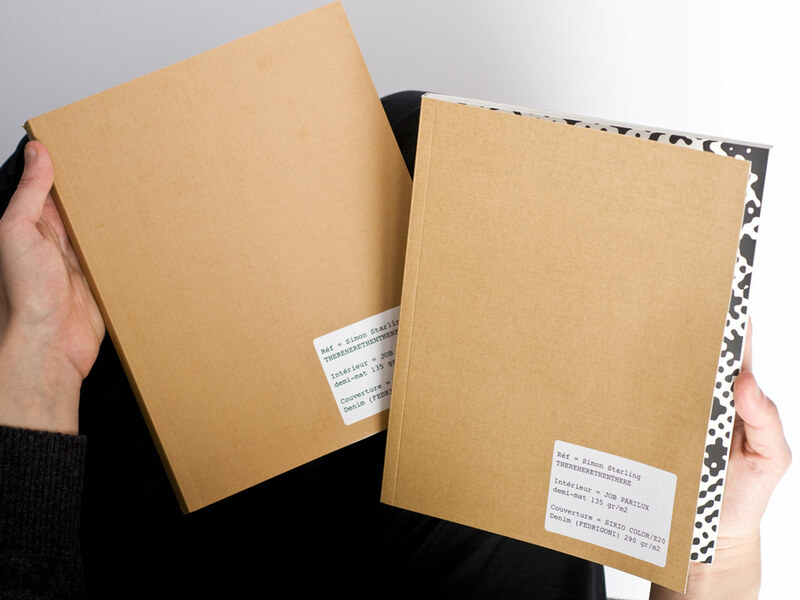 These two volumes are held together with a red paper band showing the artist’s name, the title, the publishers’ logos, the bar code, and price. 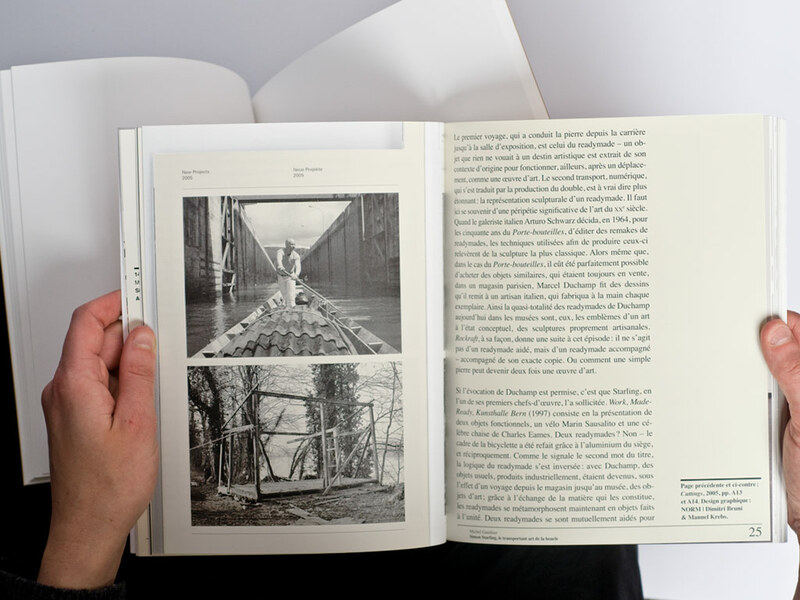 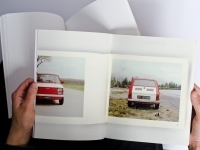 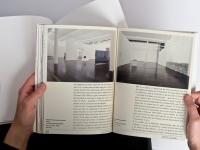 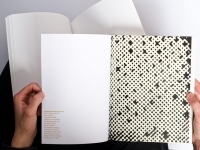 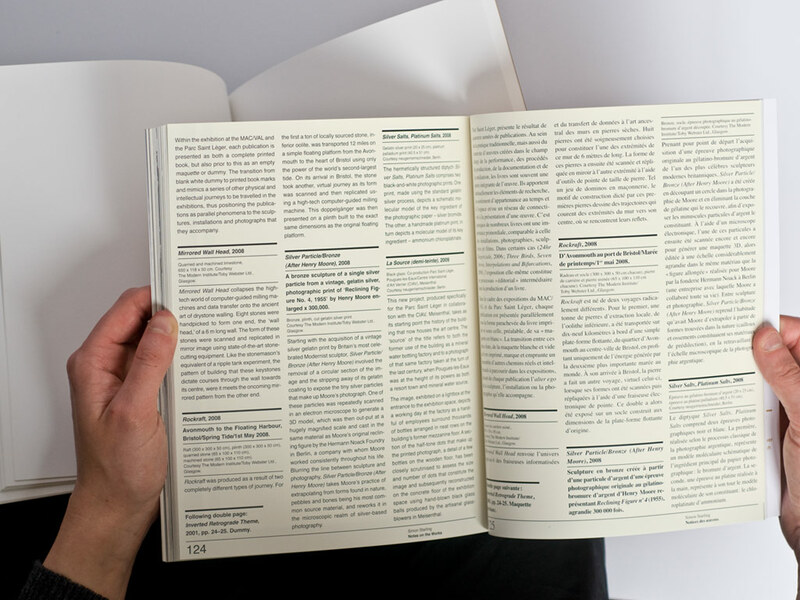 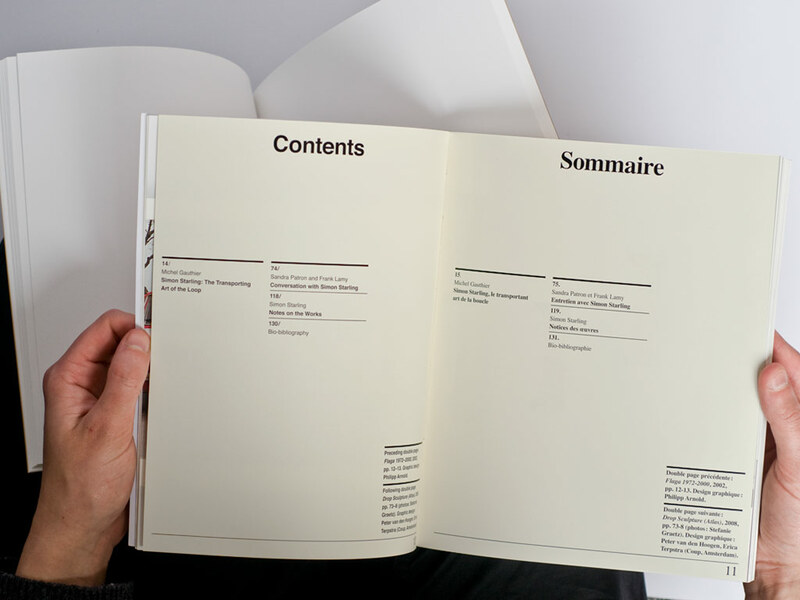 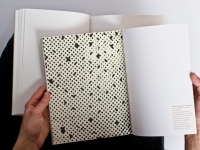 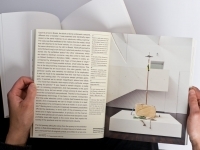 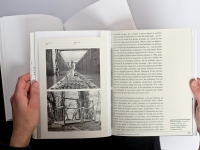 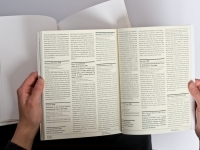 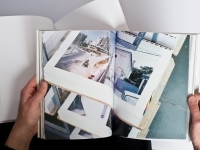 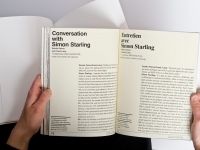 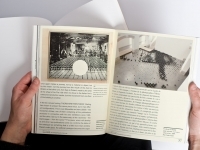 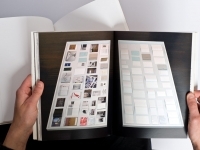 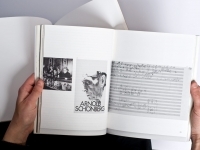 The size of this pair of books is an average calculated from all the books shown in “Les Maquettes en blanc.” Taking the artist’s idea of duality and transition further, the left-hand pages, set in Helvetica, constitute the French version of the book while the right-hand pages, set in Times, constitute the English version. 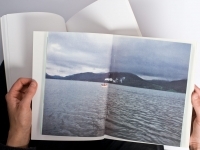 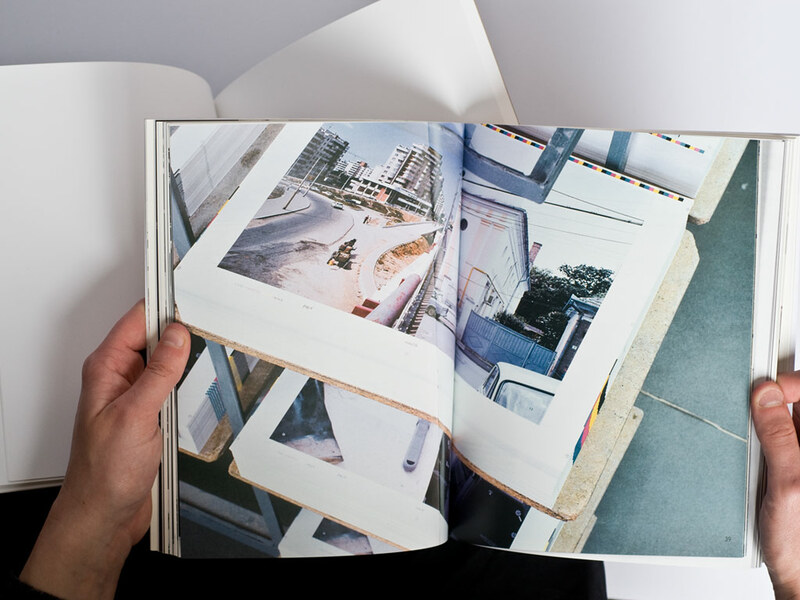 The works in the two exhibitions are represented by onsite installation views, while all other works referred to in the essay are shown through their reproduction in previous publications. Copies of those publications were opened to the appropriate pages and scanned and reproduced in the present catalog on a one-to-one scale. 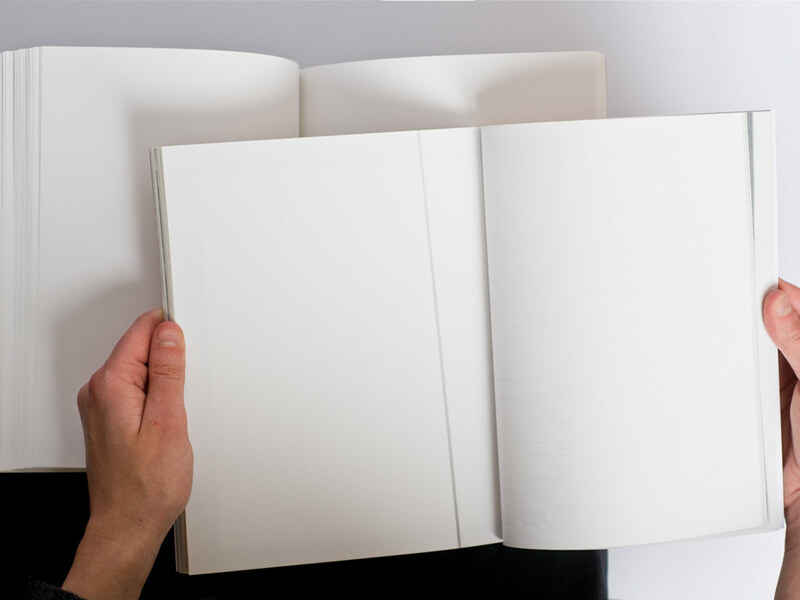 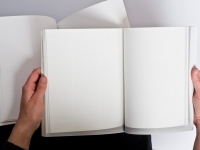 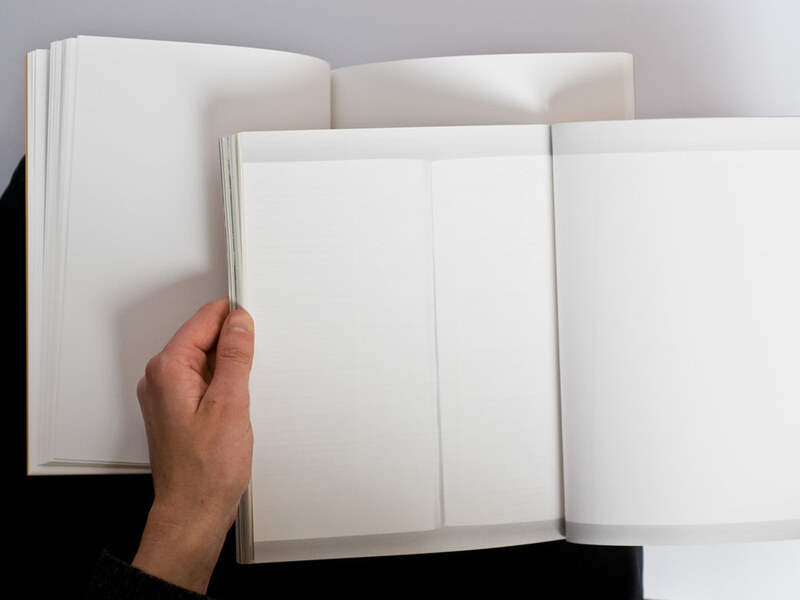 The corresponding blank pages of those books’ dummies are reproduced in the same order with the exact same framing in the second half of the book. 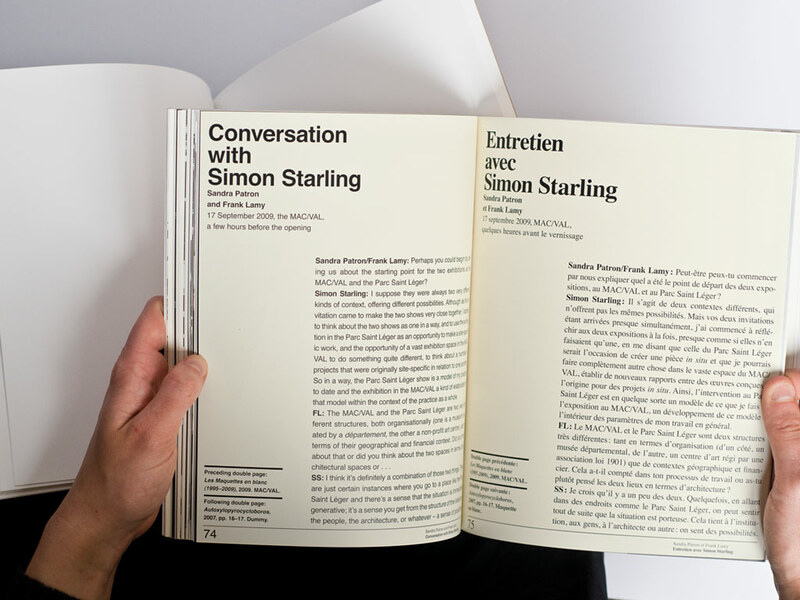 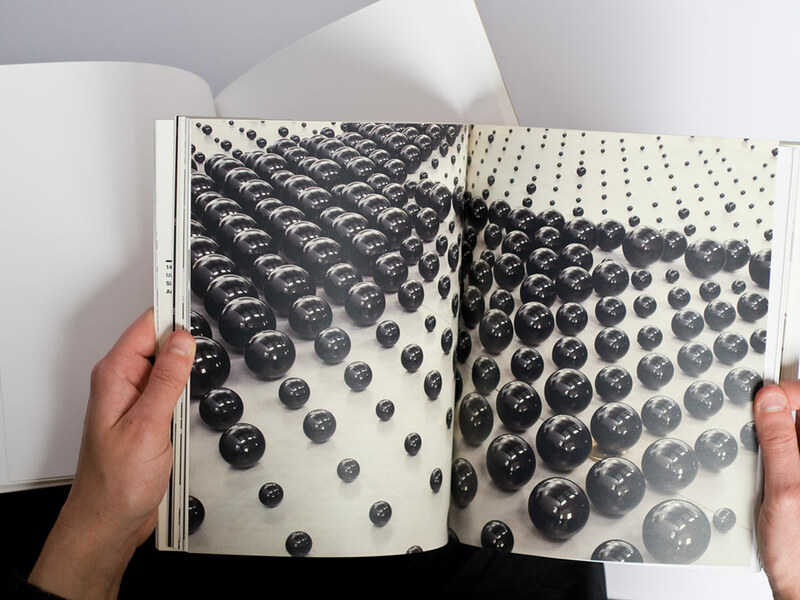 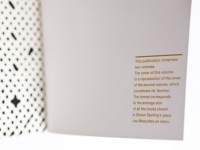 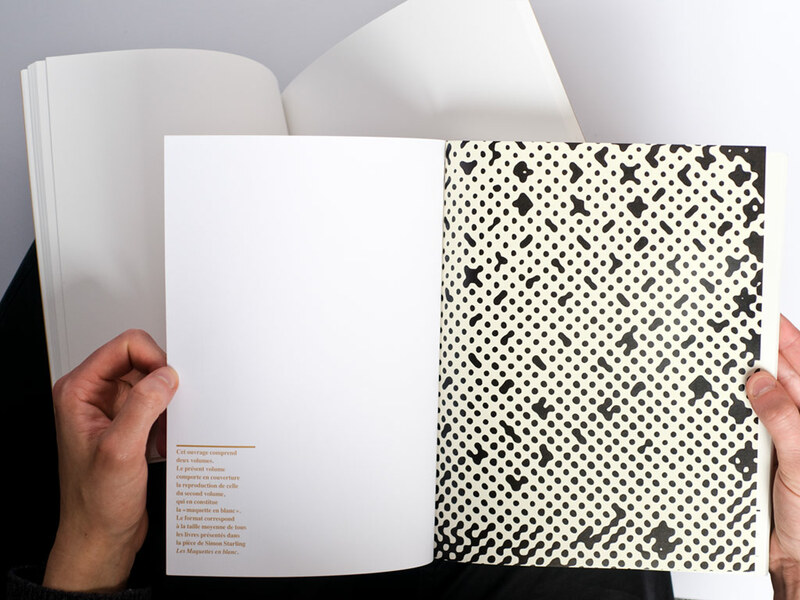 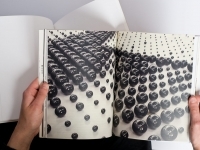 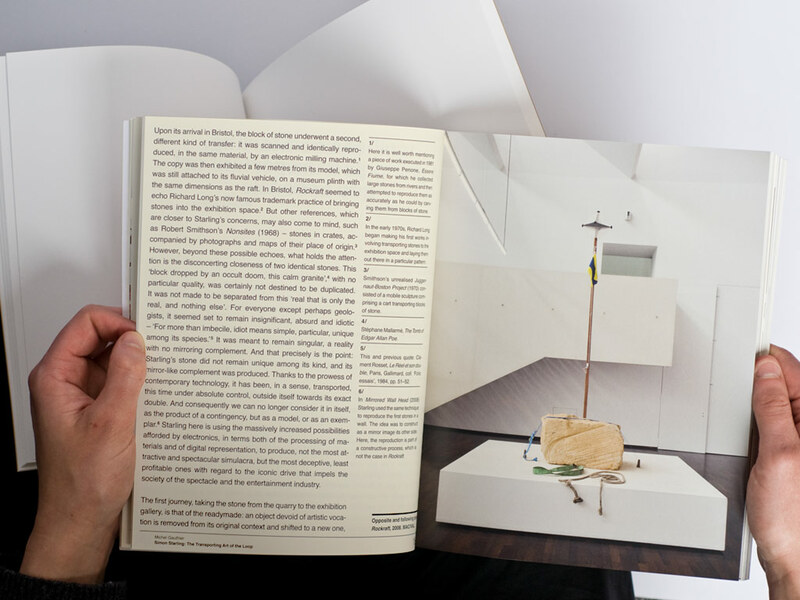 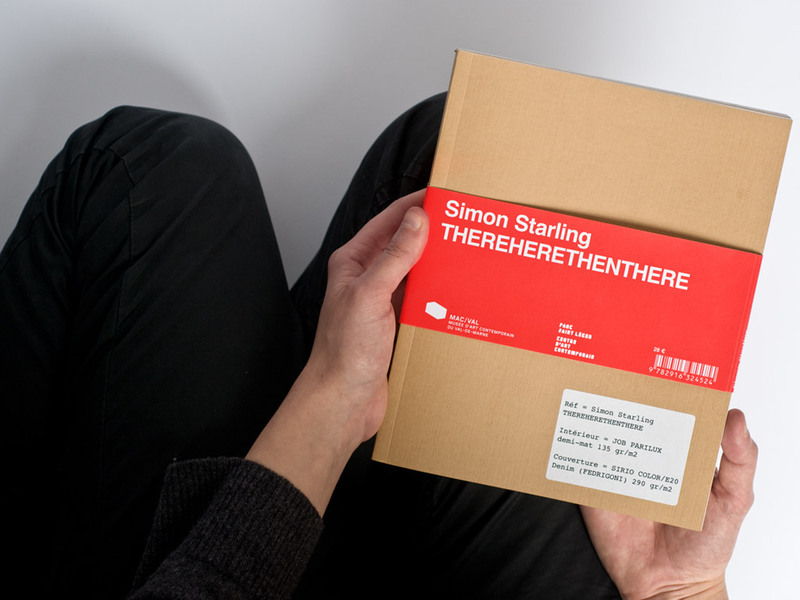 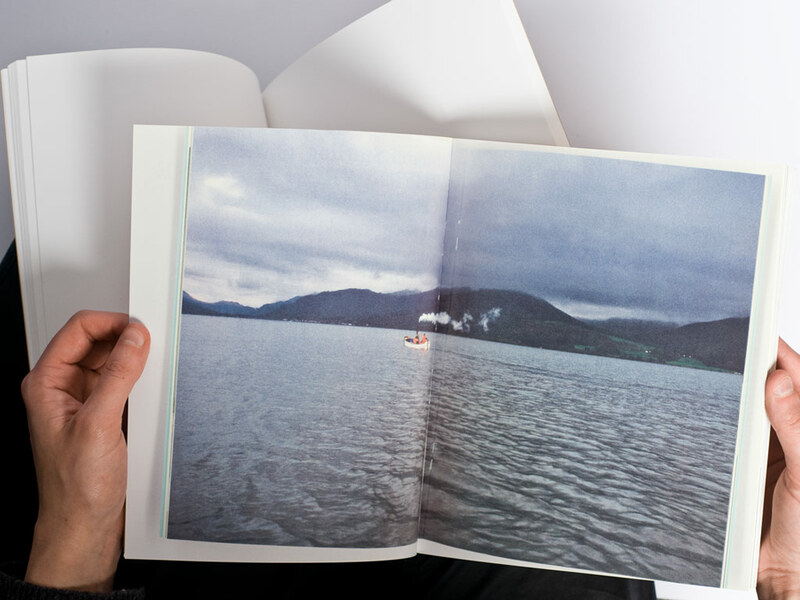 The different designers who worked on Simon Starling’s various publications are credited in the captions and bibliography.